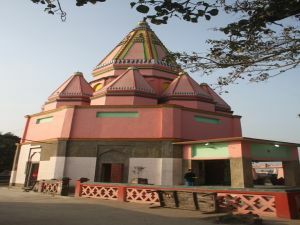 Shri Ugratara Mandir, Mahishi, Saharsa is situated at a distance of about 17 Kms west of Saharsa station in Mahishi village. In this ancient temple, the idol of Bhagwati Tara is said to be very old and draws devotees from far and wide. On either side of the main deity, there are two smaller female deities which are worshipped by the people as Ekjata and Nil Saraswati. ……….was the reply given to the great Shankara by a pitcher- woman when he inquired about the home of the great Indian philosopher of Mimansa, Pandit Mandan Mishra. Pt. Mishra was known to be a student of a mimansa scholar Kumarila Bhatta. This holy place is situated in Mahishi Block of Saharsa district where the two stalwarts of Indian philosophy met together about twelve hundred years ago.. It is said that a religious discourse (Shastrarth) was held between the great Shankaracharya and the local great Mimansa scholar Mandan Mishra. Bharti, wife of Mandan Mishra, who was also a great scholar, was named as Judge for the discourse. The SUN Temple at Kandaha village is an important religious and historical place which has been duly recognized by the Archaeological Survey of India like Surya Mandir in Dev of Aurangabad district. 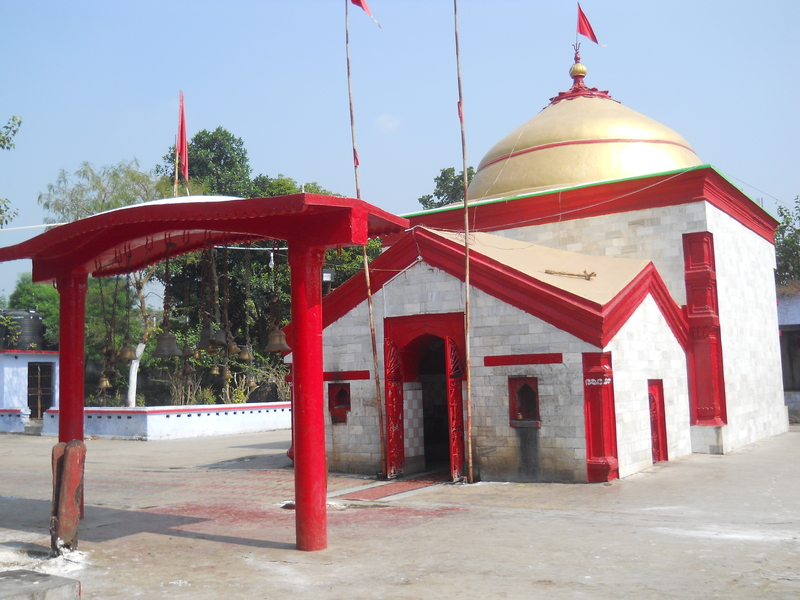 Kandaha Surya Mandir is situated in Pastwar Panchayat of Mahishi Block. It is at nearly 16kms west from Saharsa district headquarter. On the way to Tarasthan, Mahishi, it is located at nearly 3kms north from Gorho Ghat Chowk. Here in Kandaha, the magnificent idol of Surya Bhagwan riding on seven horsed chariot, has been carved on a single granite slab. At the door of the sanctum sanctorum(garbh grih), there are inscriptions which a deciphered by historians, confirm that this sun temple was built during the period of king Narsimha Deo of Karnata dynasty who ruled over Mithila in the 14th century. It is said that a brutal Mughal emperor named Kalapahad had damaged the temple which was however renovated by the famous saint poet Laxminath Gosai . Situated on the bank of Kosi River, there is a temple of Saint Karu Khirhari who is said to have attained divinity by virtue of his Shiv-Bhakti a dedication to Cows. People from all walks of life come to offer milk to Karu Baba. Although this temple near Mahpura village-2Km away from Mahishi block office, is situated in the riverside of the eastern Koshi Embankment. It has survived on the slaught of the turbulent river. 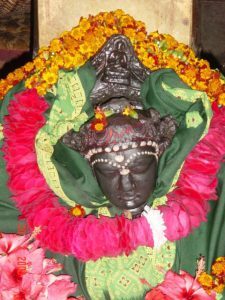 Recently the Bihar Government has announced to develop Karu Khirhari temple as a major tourist spot. Biratpur village under Sonebarsa block of this district is famous for an ancient temple of goddess Chandi. This village is also associated with King Birat of the Mahabharat age. During exile the Pandavas had lived here for 12 years. 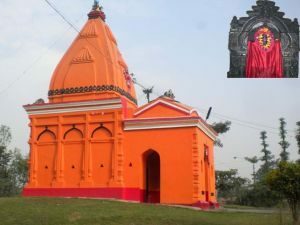 The tantric Scholars and devotees attach much significance to this Chandi temple, which is said to form an equilateral triangle (TRIK) WITH Katyayani temple near Dhamhara ghat and Tara temple at Mahishi. During the Navratra people from distant places visit the village to offer prayers to the goddess of power. The famous place of Babaji Kuti is situated at nearly 9 Km west from the sahars district head quarter. The huge bunyan tree under which the remains of Laxminath Gosaiji have been preserved, is the centre of great reverence for the people of all sect and religion. One Shiv Ling is established in the temple situated in Sahpur-Manjhoul of Nauhatta block. It is said that the Ling was established by Maharaja Shalivahan some time in 100BC. The Hindus celebrate a festival called jitiya after the name of Jimutbahan who was the son of Maharaja Shalivahan. Description of this place is found in Shri Puran. The ancient shrine at Dewan Ban was washed away by the turbulent Koshi river. The local people have however build another temple in the adjacent area. It is an old village, important since the time of Mughals and is presently the head quarters of the block of the same name. The village has a ‘Shiva temple’ about 80 feet in height. The temple which was damaged in the earthquake of 1934 was reconstructed by Raja Srinand Singh of Srinagar Estate. There is a grave of Madho Singh on an earthen mound about 50 feet high. Madho Singh had become a martyr in the battle of Ladri Ghat. Offerings are made on he rave both by Hindus and Muslims. The village is situated in Sattar Kataiya block. It contains an ancient image of goddess Durga discovered during excavation. 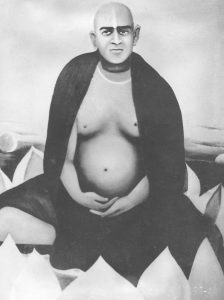 According to a legend one Sone Lala Jha dreamt that he had received divine instruction to excavate a particular place. The image was found at that very spot and latter established in the temple. Devotees throng here from far and wide. A fair is held on the day of Maha Ashtami Puja every year. 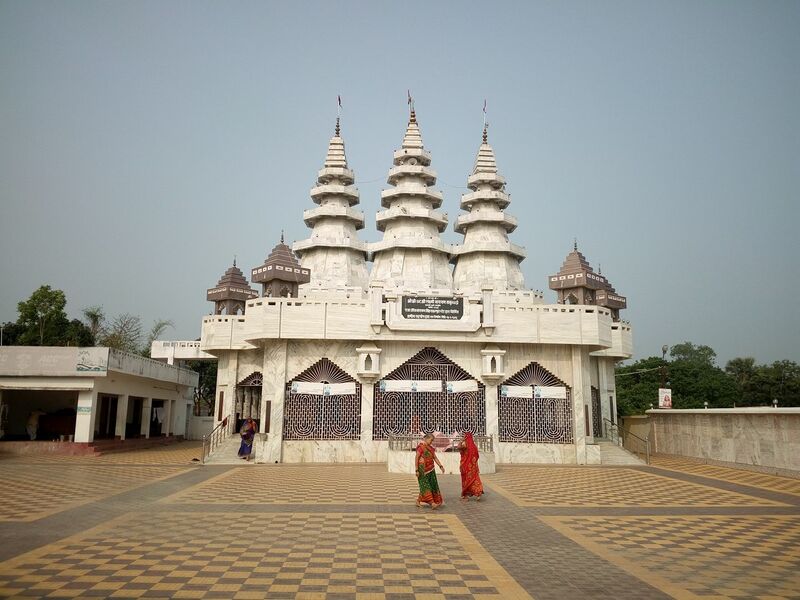 The barren water logged area in Saharsa town has been developed as a beautiful place commonly known as Matsyagandha Mandir. The construction of Rakta Kali temple and an oval shaped temple with 64 deities (known as 64- Yogini) engraved on the inner walls of temple, attracts devotees from far-off places. The Bihar Government has established a beautiful tourist complex at this place.